For all of you out there that are fellow Halloween costume lovers...I recommend you check out this site. They have wigs for anyone and everyone. Any style you could imagine-they have! I personally have a collection of wigs from previous Halloween costumes (Old cat lady, David Bowie, Flapper, Katy Perry, etc., and I am eager to continue the collection with Wigsbuy! Why should you check out Wigsbuy? And those are only A FEW examples of their giant inventory! Whatever the occasion-Wigsbuy is the place to go! Reasons wigs are a good idea for you! If you're running from the law-you can just throw one on for a brand new identity! If you have a crazy, stalker EX, and you need another identity-there you go! You can cosplay like a BOSS. If you have a new hairstyle you want, but you're a chicken-try it out with a wig! If you're a shedder then wigs are just for you! NO SHEDDING! Hair dye can ruin your hair over time-hince the reason you should go for wigs! No more spending hours on the perfect curls or straight hairdo. Just pop on a wig, and you're good to go! There are so many great features about Wigsbuy. They have amazing customer service-I'd score them 4 out of 5 stars. They have articles on DIY wigs, the latest trends, how to care for your wigs, and awesome sales! If you purchase within the next 15 hours, you get 85% off! That's another great thing about wigsbuy-the sales! They have Cyber Monday sales, Black Friday sales, and numerous Holiday sales! Click here to visit their About Wigs page and learn more about Wigsbuy and how you can purchase one their amazing wigs! 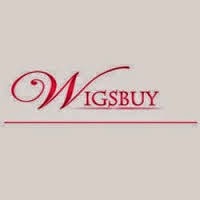 If you are interested in learning more about Wigsbuy, you can click here to view their FAQ and here to contact them.